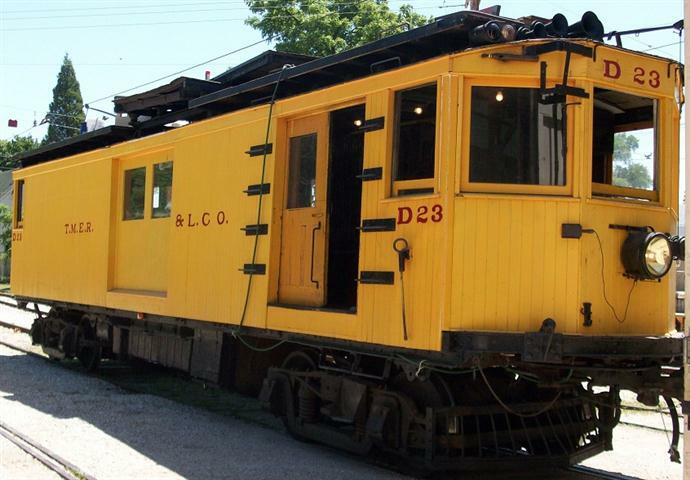 Built on passenger-type trucks for speed in responding to trolley emergencies by parent Milwaukee Electric Railway and Light Company, it has a wide variety of functional features. The roof has three insulated platforms to allow access to the overhead for maintenance and construction. The center platform raises some five feet via a 600 volt motor inside, and then has a swing-out extension that enables the workers to reach the line poles. The interior has workbenches, numerous bins filled with trolley parts, cabinets, and a trolley wire dispensing reel.